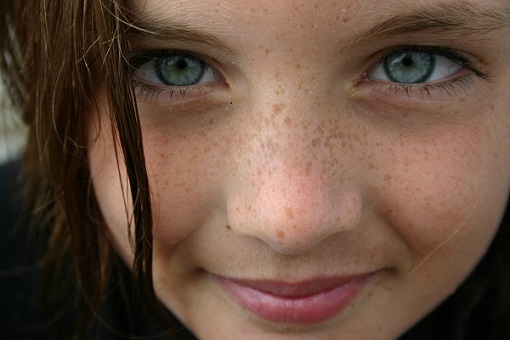 Freckles appear on the upper skin in autumn and summer. The reason for this is the changes in the structure of melanocyte cells responsible for the regulation of the synthesis of the hormone melanin. As a rule, folk remedies help to eliminate skin imperfections in the early stages. To get rid of age spots, masks prepared exclusively from natural products will help. Prepare clean dishes, all the ingredients in advance and make sure you do not have an allergic reaction to the natural ingredients. – 1,5 tsp lemon juice. Place all ingredients in a small bowl. Then mix and leave for 5 minutes to brew. Apply mask to face with a clean cotton pad, and after 10-15 minutes, wash with warm water. Observe the precautionary measures, since the acids in the lemon juice can significantly dry the skin. For such a mask it is important to choose a watermelon grown without the use of chemicals and other additives. Next, you have to mash the pulp of watermelon to the state of gruel and pour 0,5 tsp. essential oil, suitable for your skin type. The oil will serve as an optimal base and will have a calming effect. Lay the mixture on the skin evenly. Wait for 20 minutes and remove the remnants of the mask. Get pre-market granular curd and sour cream in fat content 15-20%. Mix the purchased products in a clean container in the ratio 1,5: 1. Add half a tsp. hydrogen peroxide. Be careful during the dosage, since peroxide has the property of whitening the skin on 2-3 tones. It is recommended to apply the mask on the face for about 15-20 minutes. An important rule is to avoid exposure to sunlight on the skin after use. Bodyak actively used in the fight against age spots Slavs. Today, the powder from this unique plant is sold in every pharmacy. Prepare 3 st.l. shredded herbs and add 1 tsp to it. vegetable, almond or olive oil. Lower the cotton swab into the mixture and blot all the freckles in pinpoint motions. After the mask has completely dried, remove the residues. Glycerin will help you only if freckles occasionally appear on the face. The mask is effective and does not require serious financial costs. It is necessary to buy natural glycerin. Lubricate the cotton wool abundantly with a solution and wipe every freckle for 3 or 5 days. Later, you will find peeling, which should be greased every evening with a thick cream of liquid consistency. After 2 weeks, the pigmentation spots should disappear, and the skin tone becomes smoother.